Sunday night as I was nestled in my Charlottetown hotel room awaiting the impending storm, my Back to the Future trilogy marathon was interrupted by someone daring to call me on my cell phone. Imagine, someone attempting to get a hold of me the old fashioned way? Naturally I was suspicious but answered anyway and was almost happy I did. 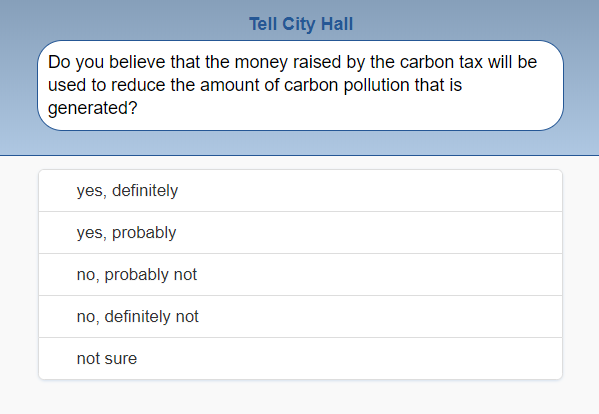 The recorded voice on the other end of the phone asked me if I was interested in taking a survey on carbon tax. 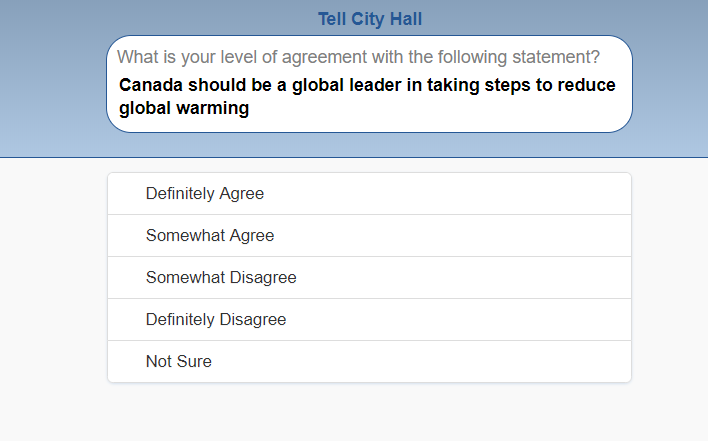 I quickly hit the number 1 for a yes expecting that a real person would soon take over and I could give them a piece of my mind on the carbon tax. Much to my dismay they instead texted me a link for said survey. So I decided, the next best thing would be to take screen shots and blog about it. This was a tough one for me. PEI’s carbon tax came in the form of a 4 cents per litre increase on gasoline, however the province decreased its provincial excise tax by 3 cents per litre. Meaning the only tax that I’ve had to endure is a 1 cent per litre increase. I’m actually okay with that. If saving the environment is only going to cost me one cent a litre more… That’s cool. This was one that required a little bit of googling on my part. 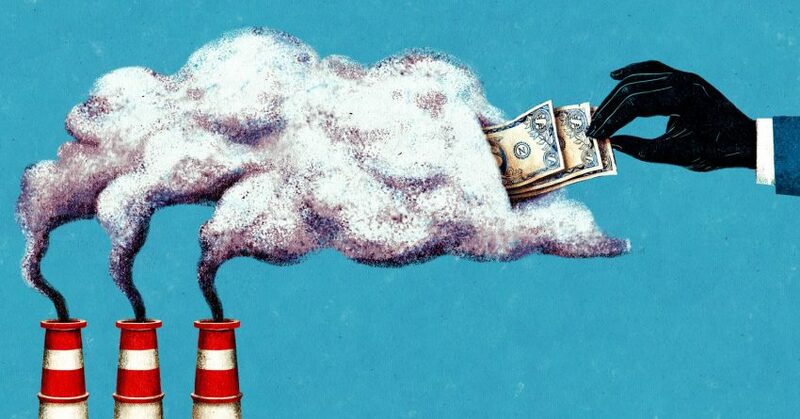 Now that I’ve established that I’m okay with the carbon tax does that mean I think Canada should strive to be a global leader to reduce climate change? Well… Maybe? I mean… I don’t want to pay much more than 1 cent per litre. But according the Toronto Star that one cent per litre I’m paying is helping make Canada a global leader. So… As long as we don’t have to do anymore than I guess I somewhat agree with this..
BAHAHAHAHAHAHA. Can I write in hopefully? Unfortunately no. I drive 45 minutes to work and I’m gonna need fuel to get there. That’s not gonna change no matter how much more money you charge me for gas. I think that’s a legit question. 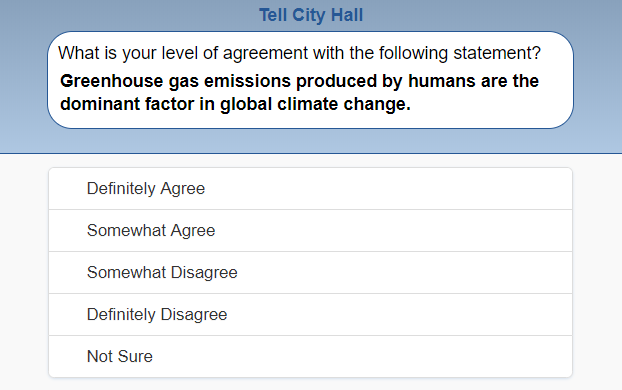 The truth is, I’d love to help the environment by reducing my usage of gasoline. I’d also stand to save a lot of money. But Tesla’s are really expensive. Although, I did design a MODEL S on Tesla’s website that I would gladly drive if the government was willing to buy me one. I even lowered my standards and went with the cheaper $125,000 model. Now it’s your turn! 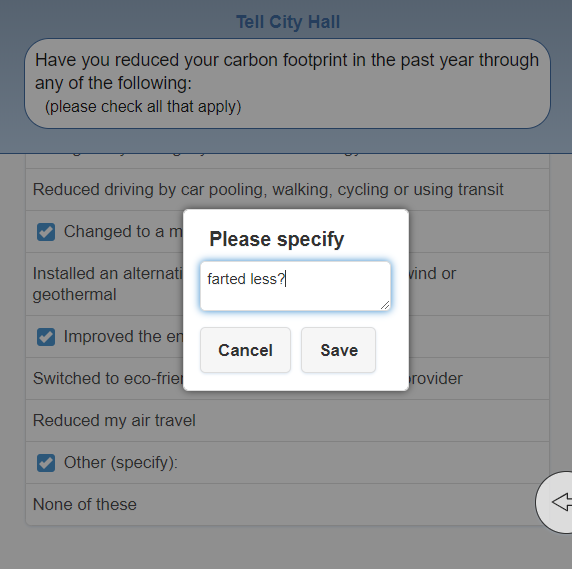 Hit us up on Facebook or Twitter and tell us how YOU feel about the carbon tax.